1 in 4 women in Kenya wants to avoid pregnancy, but either lacks access to modern contraception or is fearful to access available methods. Many of these women are youth, between 14-24 years of age. 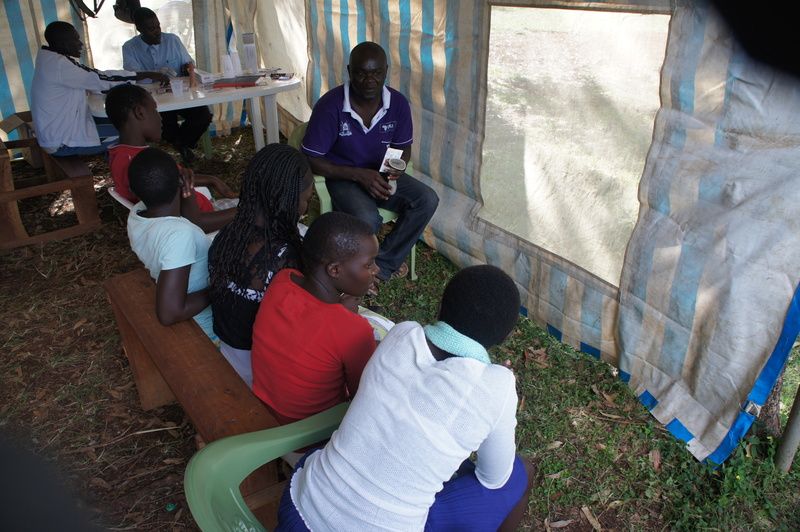 Even though the Constitution expressly states the right to health services including sexual and reproductive health, there is a disconnect between policy and practice, particularly in rural places when it comes to adolescent girls. In order to makes sure adolescents have safe spaces to learn about and access contraception, policy must guide us toward youth friendly services in all health care facilities. This will be the gateway for youth to enter into “full access and full choice.” We, at the Lwala Community Alliance, are demonstrating these youth friendly methods in Migori county. Further, this unmet family planning need in Kenya has unintended consequence. As indicated by the report released in August 2013 by APHRC, there were 464,690 abortions procured in Kenya last year, the majority of which were procured by women who had unintended pregnancies. Further, 45% of births in the preceding five years were reported by women as unwanted. Kenya’s national abortion rate is among the highest in Africa at 48/1000 women of reproductive age. Increasing access and choice for contraception methods will have immediate impact on reducing unintended pregnancies and risky abortions. For these reasons and more, the government of Kenya needs to come out strongly to reduce the barriers youth face in accessing sexual and reproductive health services and to build a conducive environment for youth to access these services in all public facilities. This will take increases to resources including financial, information and human resources. Think about it, a rural client will only know the contraceptive choices available to her through proper counseling and education. Otherwise she will be guided by local myths and misconceptions and may fear lesser-known options (e.g. intrauterine devices and implants). She will only try these options if she knows there will be careful follow-up and side effects management. Of course, a full selection of contraceptive choices will only be available if providers are also skilled and confident in delivering all methods. Health care workers in Kenya, especially those in rural areas, often lack the training needed to provide implants and intrauterine devices. Routine trainings and supervision for health care workers will help make all options available. Through safe spaces and peer interactions, women will share their real views, including their fears and misconceptions. They tend to trust their peers and will speak freely. In these safe spaces, proper counseling and information sharing with a qualified health care worker can dispel some of the myths and rumors women pick from one another. In order to achieve this, there is need to thoroughly train all health care workers with skills on counseling for family planning services, especially training on how to create safe space for women to share. These safe spaces are the “driving schools” for family planning users. Another key to letting clients drive is making certain that options reach them in their homes. The majority of women of reproductive age are found in the rural areas where there is high unmet need for family planning services. We must make services available not only through static health facilities but also through community outreach workers. 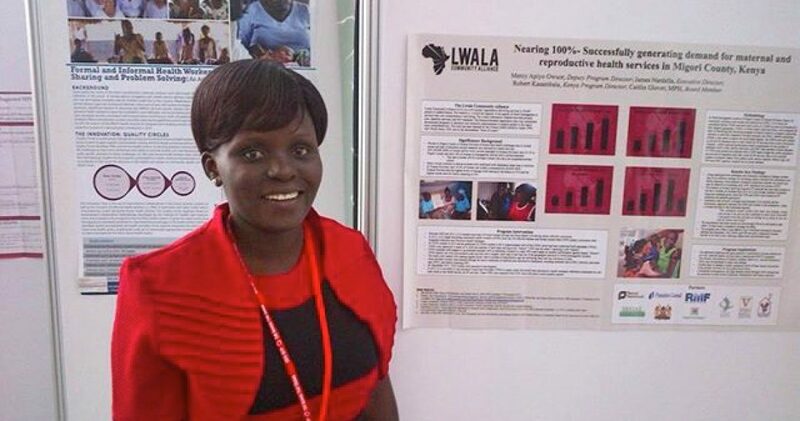 With proper training on dispensing, monitoring, supervision and follow-up, community health workers can provide short-term methods including condoms, pills and injectables and at the same time mobilize for long acting and reversible contraceptive methods. Using task sharing, including delegation to traditional birth attendants and community health workers in rural communities, we can achieve the family planning 2020 goals in Kenya. Ethiopia has succeeded in achieving much progress in improving access through task sharing with their health extension workers’ program. In Kenya, however, the government has outlawed community-based distribution for contraceptives and this barrier must be addressed through policy change. We see at the Lwala Community Alliance the potential for women to be reached through peer interactions with CHWs and TBAs. Kenyan policy must guide us toward youth friendly services in all health care facilities. Clients need safe spaces and home based options to be in the driver seat. Supply can match demand if the information is in the right place.